Born in Russia in the city of Tolyatti. At a very young age of 6 years showed interest in drawing and painting. Accomplished 6 years in International School Of Arts in Russia. Immigrated to Israel where continued art studies in the studio of a well known Russian artist Irena Barilev for additional 4 years. Has a B.A. degree from the Tel-Aviv University. Participated in several group exhibitions in Israel. In 2006 immigrated to Australia. Attends Julian Ashton Art School in Sydney. My artworks are found in the private collections in various countries such as Poland, Russia, Israel, Australia. 2011 Sydney, Royal Art Society, Lavender Bay Gallery. 2011 Sydney, Northbridge Medical Centre Exhibition. 2011 Sydney, Waterbrook Art Exhibition, Lane Cove Art Society. 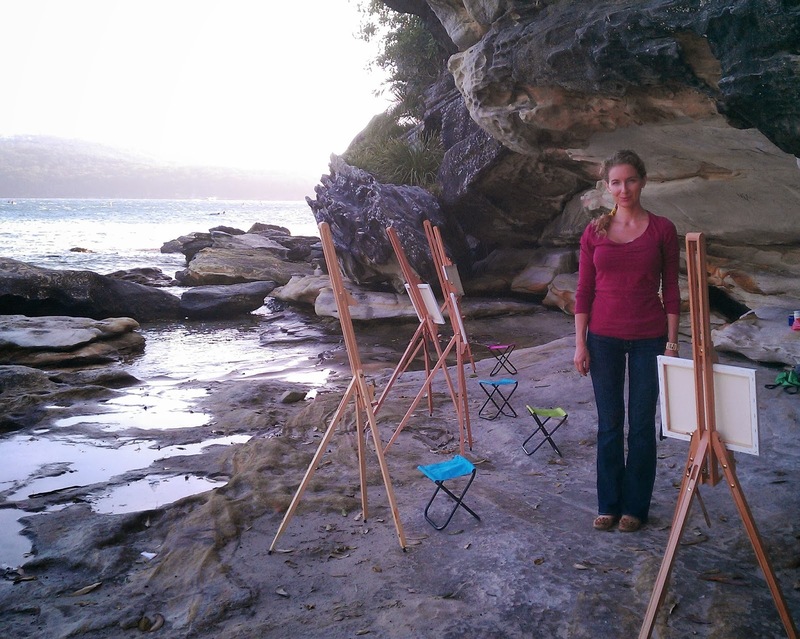 2012 Sydney, Hunters Hill Art Exhibition, Hunters Hill Council. 2013 Sydney, Sydney Mechanics School of Arts, Julian Ashton Art School Teachers and Students Art Exhibition. The Jocelyn Maughan Drapery Prize for 2013 for a drapery drawing. The Phillip Muskett Prize for 2013 for the landscape painting. During my life I’ve seen and lived in very different cultures, and found exciting to explore the genuine beauty of human being, capturing the essence of a person, sense of presence, character and time.